An exhibition of the traditions of Russian Orthodox icon-painting opened in Buenos Aires, Argentina, on December 13, 2012. This show acquaints the Argentinian audience with the traditions of venerating the Mother of God in Russia, and is scheduled to coincide with the fifth-anniversary celebrations of the signing of the Act of Canonical Communion between the Moscow Patriarchate and the Russian Orthodox Church Outside of Russia. According to ITAR-TASS, which cites the website of the Benevolent Fund of St Gregory the Theologian, the exhibition hall of Papal Catholic University of Argentina will host an exposition of 80 icons of the Most-Holy Mother of God by contemporary Russian masters. As His Grace Bishop John of Caracas and South America explained, “The icon is not only a work of art, but it is a spiritual creation.” In his words, the works exhibited here demonstrate the living tradition of Russian Orthodox iconography. Mr Igor Romanchenko, Advisor from the Russian Embassy in Argentina, noted in turn that visitors to the exhibition have the unique opportunity to get to know contemporary Russian art. 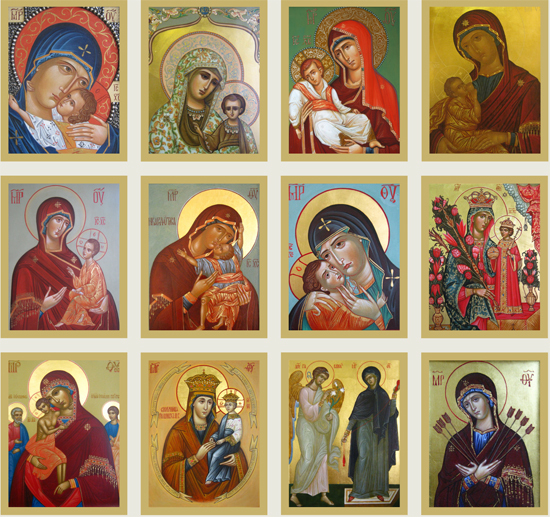 Also, the Editor-in-Chief of the Publishing Arm of the Moscow Patriarchate, Protopriest Vladimir Siloviev said that “the icon was always understood to be theology in paint, an image pointing to the First Image, and as a window into another world… That is why we wished to show these icons, most of which are of the Mother of God, in order for believers in Argentina, and anyone else interested, could see what for centuries Russian Orthodox Christians could see in Russia,” he said. The Publishing Arm of the Moscow Patriarchate, the Papal Catholic University of Argentina, the Benevolent Fund of St Gregory the Theologian and “Sobor” Creative Studio organized the event. The exhibition received support from the Department of External Church Relations of the Moscow Patriarchate; the Argentine-South American Diocese of the Moscow Patriarchate; the South American Diocese of the Russian Orthodox Church Outside of Russia; the Russian Embassy in Argentina; the Ministry of Culture of Russia of the Central Federal Region; the Russky Mir Foundation; Gazprom Dobycha Urengoy; Altamar; StratinvestRu; Nordik Star, and Fineartway Ltd Moscow.